Puck, Katniss, Bartleby and Godot came to LSAR as feral 3 months ago. It’s more difficult to socialize older kittens, but we’re working on it. 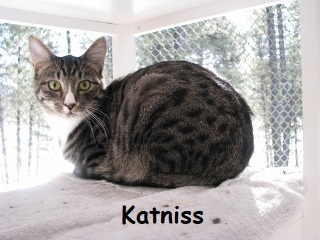 Katniss is a short-haired tabby with a white streak on her nose. 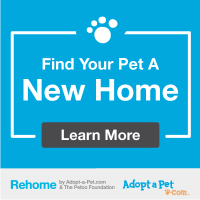 She loves to be petted and can even be picked up (for a few minutes).